The number of children without direct access to an educational psychologist service is almost three times what was previously believed, the Irish Independent can reveal. 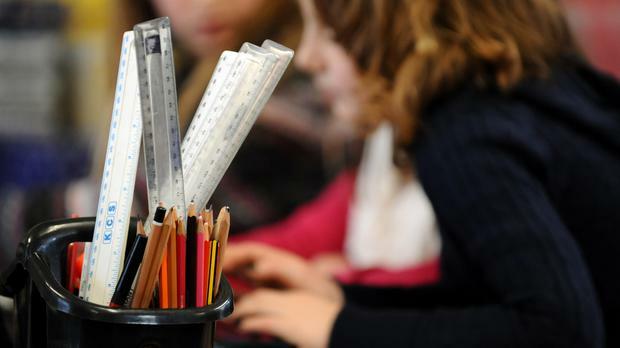 A massive shortage of psychologists at the National Education Psychological Service (NEPS) means children are having their assessments delayed or outsourced. Late last year it was indicated to the Dáil that 34,575 children were affected - but it has now emerged that the actual figure is 95,543 pupils in 397 schools. The situation is affecting children's access to Resource Teaching Hours and Learning Supports according to Opposition politicians. Schools without an assigned educational psychologist are disadvantaged in terms of delays to assessments for special educational needs or behavioural difficulties. Fianna Fáil's education spokesperson Thomas Byrne said the scale of the crisis "is far worse than initially feared" and NEPS is "chronically under-resourced". "This is extraordinary when you consider the extreme stresses that many children undergo as they grow older," he said. The Meath East TD said the new figures mean Education Minister Richard Bruton must correct the Dáil record. "This is a shocking upward revision which demonstrates the full scale of the crisis that NEPS is currently going through," he said. Dublin is the worst affected in the country with 101 schools lacking direct access but there are also major issues in Mayo (68), Meath (67), Cork (41), Laois (29) and Wexford (29). Other counties affected are Wicklow (14), Louth (13), Waterford (12), Leitrim (5), Longford (4) and Galway (2), while there is one school each affected in Cavan, Offaly and Sligo. "Overall children in these schools have limited access to psychological supports and counselling services when a crisis presents," Mr Byrne said. He said he is "alarmed" by the recently updated Action Plan for Education which "only mentions the intention to hire an additional 10 educational psychologists". "This is in stark contrast to the 65 positions that were promised last year," Mr Byrne said. A Department of Education spokesperson said the mistake in numbers was "due to an administrative error" when replying to Mr Byrne. "The loss to these school of the direct assignment of a NEPS psychologist was due, in the main, to staff retirement, resignation or transfer to another NEPS region," he said. He noted that the schools affected are given access to the Scheme for Commissioning Psychological Assessments (SCPA), where they can have an assessment carried out by private psychologists approved by NEPS, and NEPS will pay the fees. The department plans to recruit 23 new psychologists by the start of the 2017/2018 academic year.